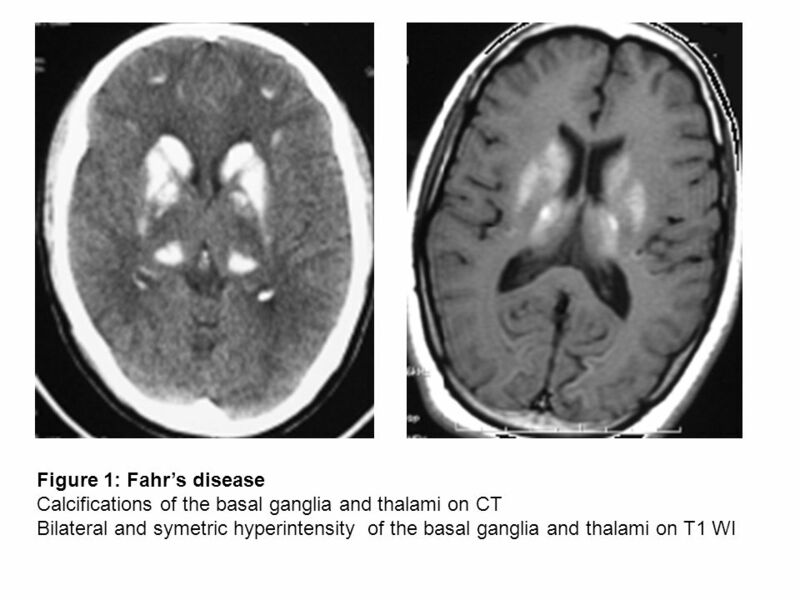 Abnormalities of the basal ganglia and thalami S.Alj, M.Ouali Idrissi, N. Cherif El Idrissi El Ganouni, O.Essadki, A.Ousehal Radiology department, Ibn. 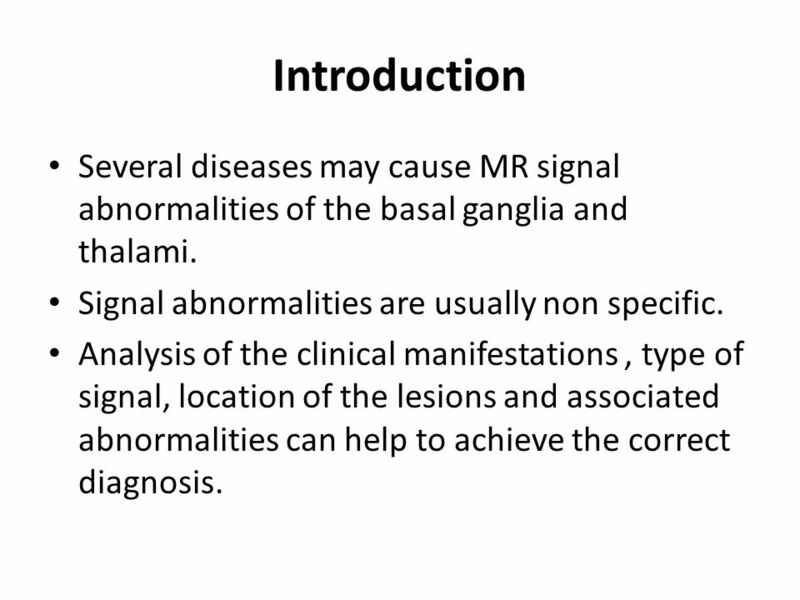 2 Introduction Several diseases may cause MR signal abnormalities of the basal ganglia and thalami. Signal abnormalities are usually non specific. 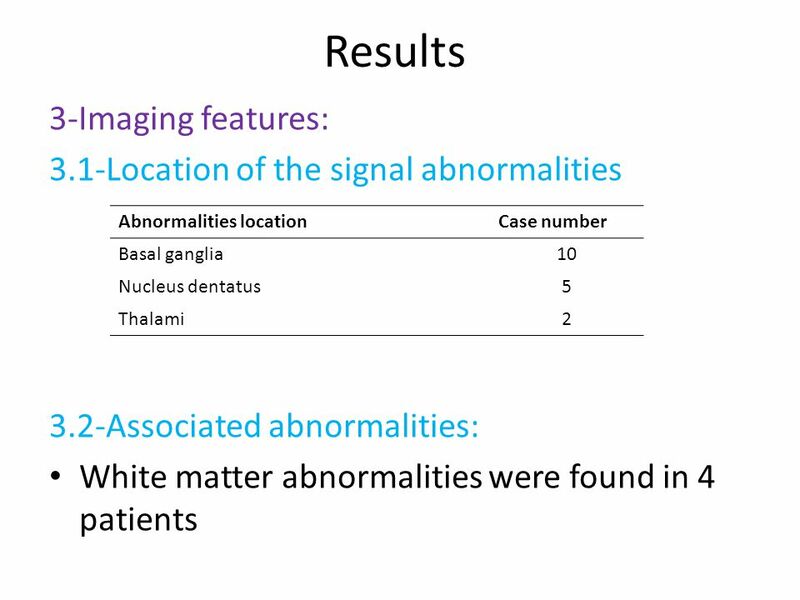 Analysis of the clinical manifestations, type of signal, location of the lesions and associated abnormalities can help to achieve the correct diagnosis. 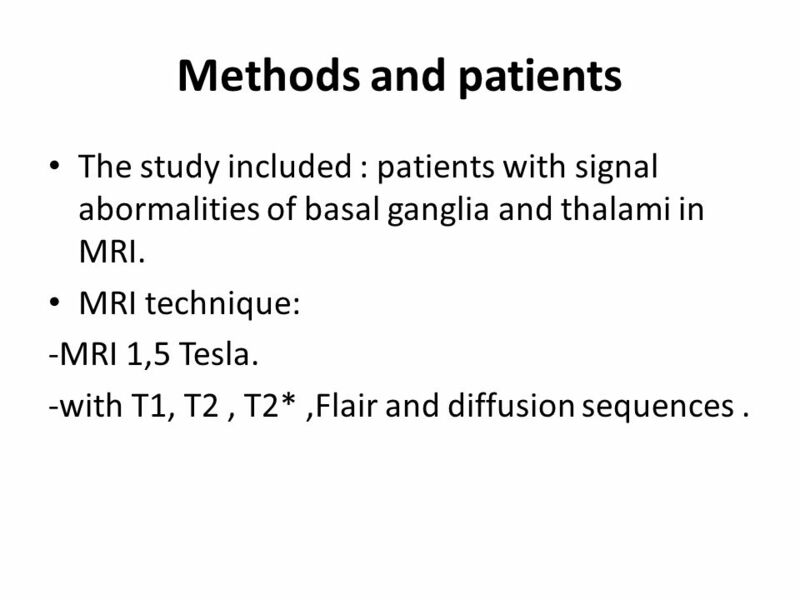 3 Methods and patients The study included : patients with signal abormalities of basal ganglia and thalami in MRI. MRI technique: -MRI 1,5 Tesla. -with T1, T2, T2*,Flair and diffusion sequences. 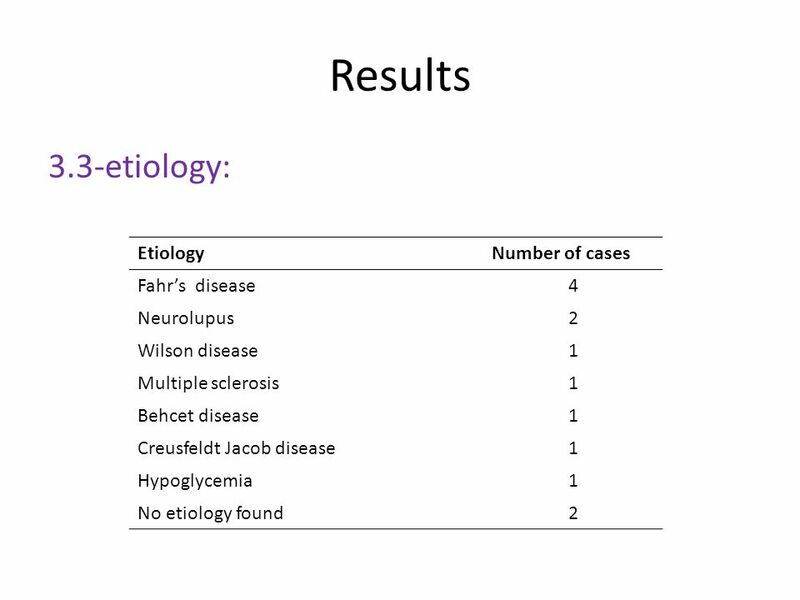 4 Results 1-Epidemiological features: Thirteen patients were included in the study. There was seven women and 6 men. 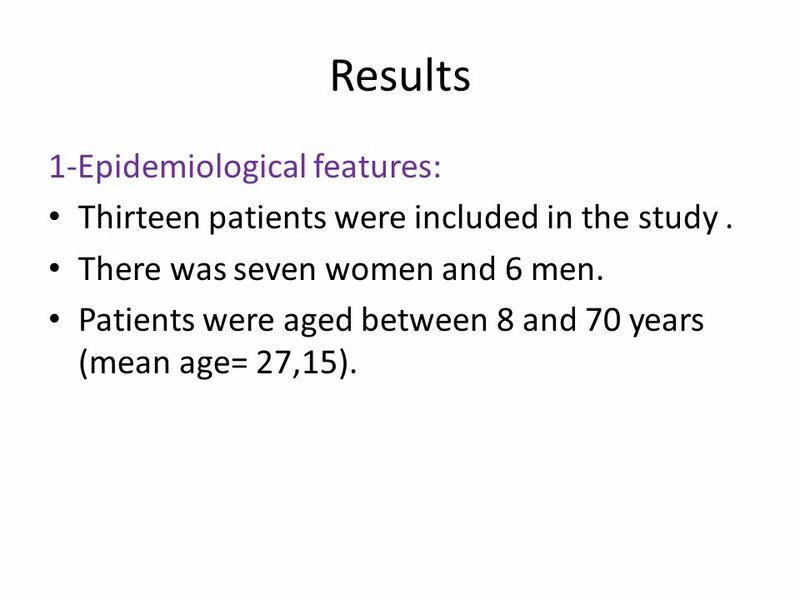 Patients were aged between 8 and 70 years (mean age= 27,15). 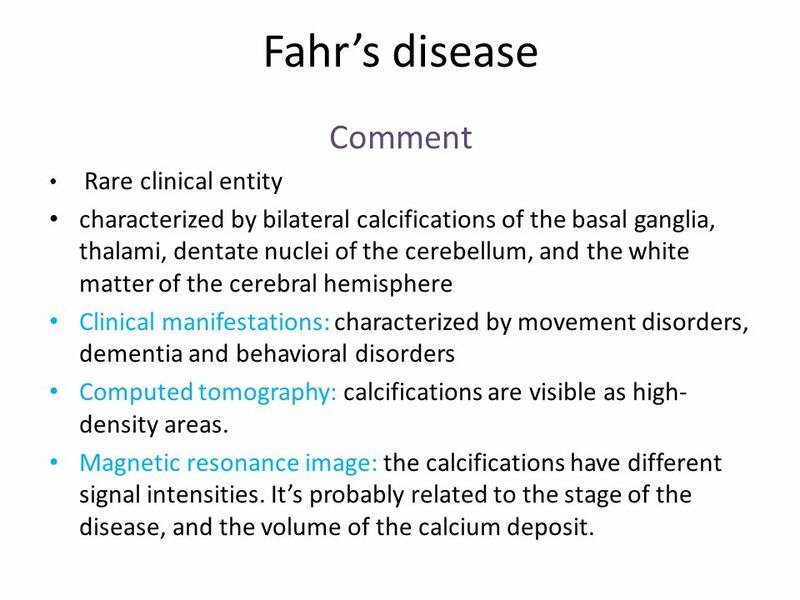 9 Fahr’s disease Comment Rare clinical entity characterized by bilateral calcifications of the basal ganglia, thalami, dentate nuclei of the cerebellum, and the white matter of the cerebral hemisphere Clinical manifestations: characterized by movement disorders, dementia and behavioral disorders Computed tomography: calcifications are visible as high- density areas. Magnetic resonance image: the calcifications have different signal intensities. It’s probably related to the stage of the disease, and the volume of the calcium deposit. 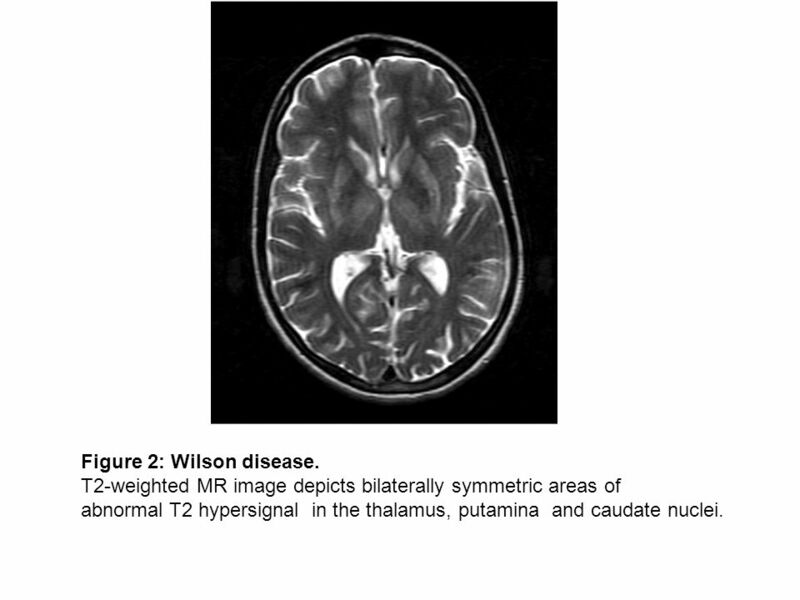 10 Figure 2: Wilson disease. T2-weighted MR image depicts bilaterally symmetric areas of abnormal T2 hypersignal in the thalamus, putamina and caudate nuclei. 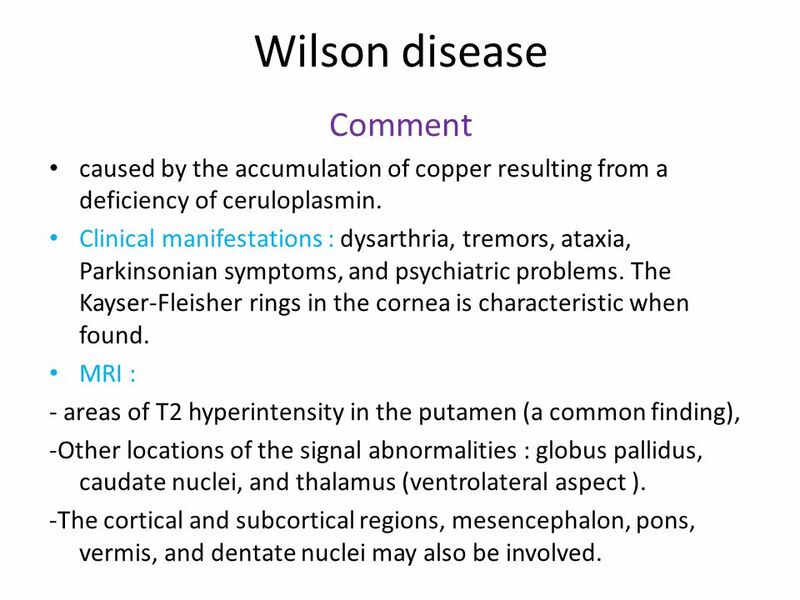 11 Wilson disease Comment caused by the accumulation of copper resulting from a deficiency of ceruloplasmin. 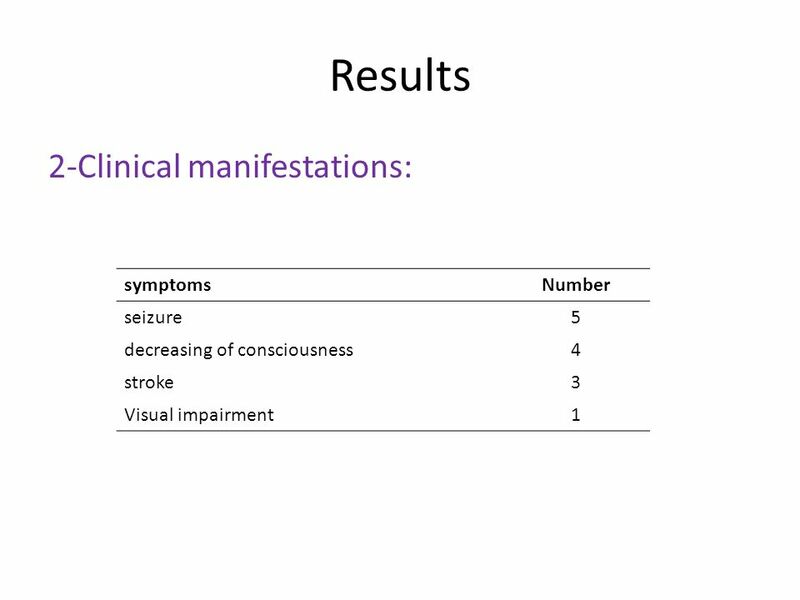 Clinical manifestations : dysarthria, tremors, ataxia, Parkinsonian symptoms, and psychiatric problems. The Kayser-Fleisher rings in the cornea is characteristic when found. MRI : - areas of T2 hyperintensity in the putamen (a common finding), -Other locations of the signal abnormalities : globus pallidus, caudate nuclei, and thalamus (ventrolateral aspect ). -The cortical and subcortical regions, mesencephalon, pons, vermis, and dentate nuclei may also be involved. 12 Figure 3: Creutzfeldt Jacob disease 30 years aged patient with rapidely progressive demantia. Bilateral hyperintensities on FLAIR WI of cerebral cortex and basal ganglia. 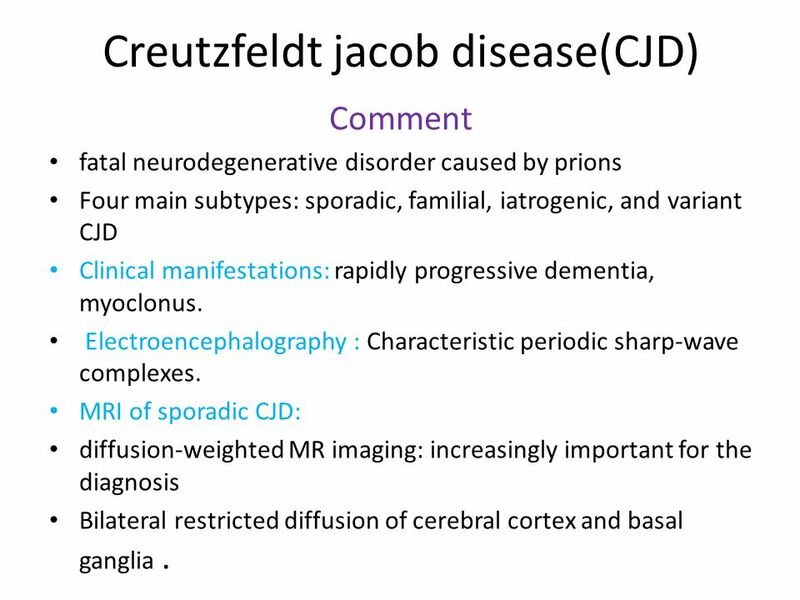 13 Creutzfeldt jacob disease(CJD) Comment fatal neurodegenerative disorder caused by prions Four main subtypes: sporadic, familial, iatrogenic, and variant CJD Clinical manifestations: rapidly progressive dementia, myoclonus. Electroencephalography : Characteristic periodic sharp-wave complexes. 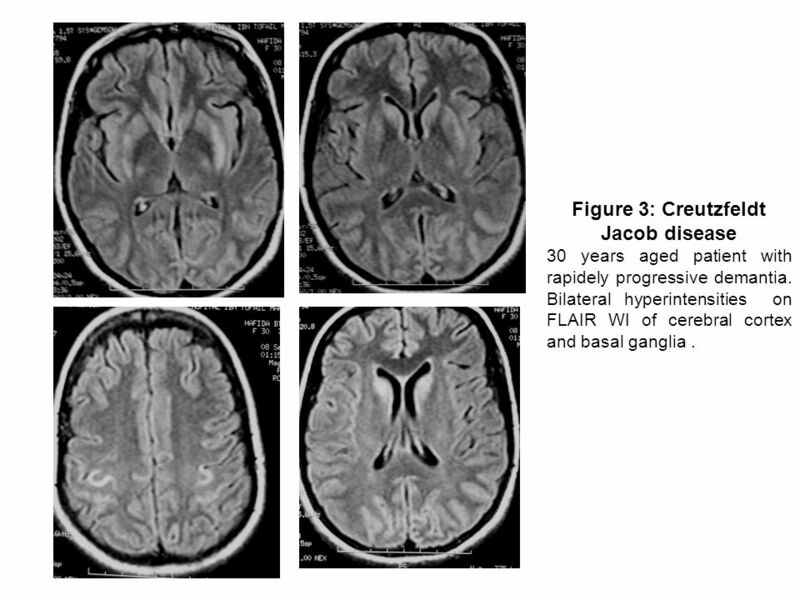 MRI of sporadic CJD: diffusion-weighted MR imaging: increasingly important for the diagnosis Bilateral restricted diffusion of cerebral cortex and basal ganglia. 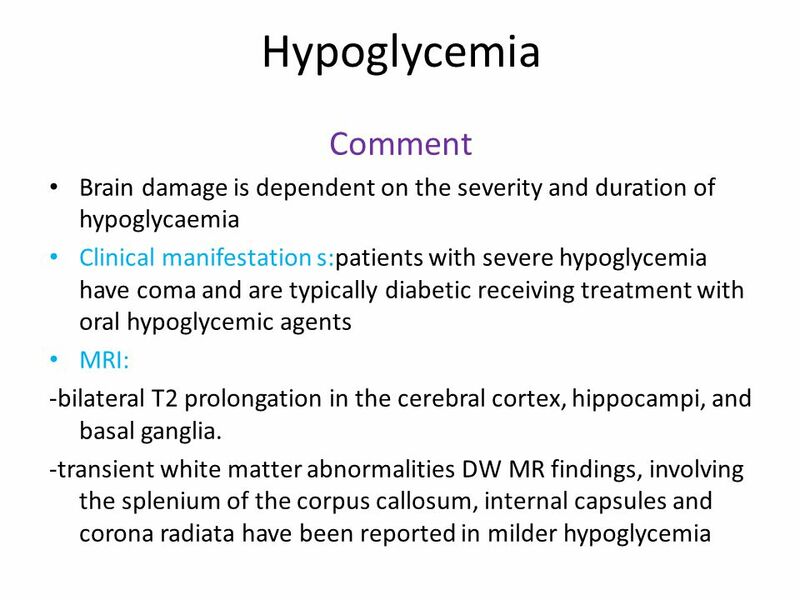 14 Figure 4:Hypoglycemia 70 years aged patient type 2 diabetic. Bilateral FLAIR hypersignal in the temporal and occipital cerebral cortex, and basal ganglia. 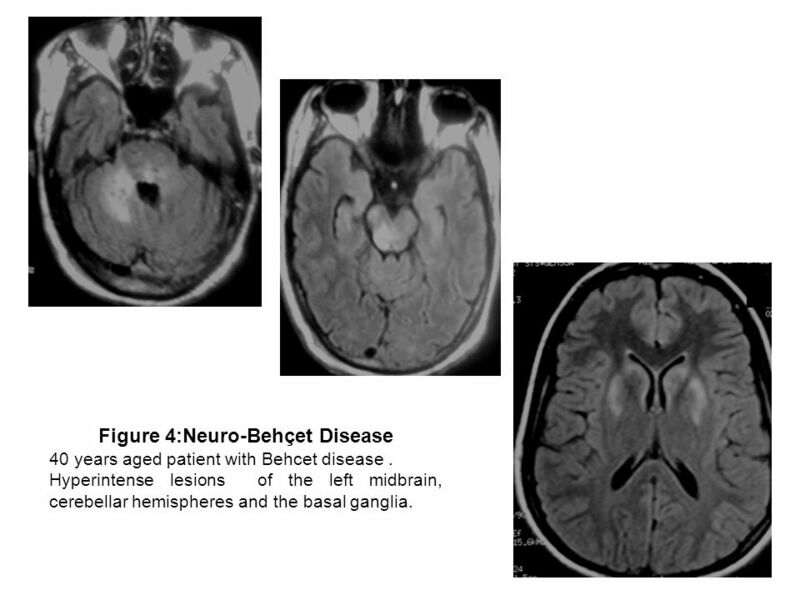 16 Figure 4:Neuro-Behçet Disease 40 years aged patient with Behcet disease. 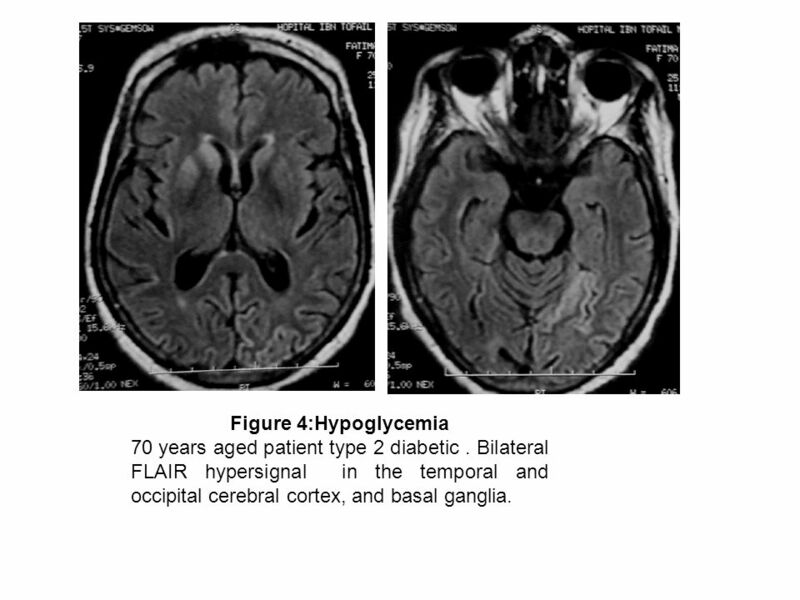 Hyperintense lesions of the left midbrain, cerebellar hemispheres and the basal ganglia. 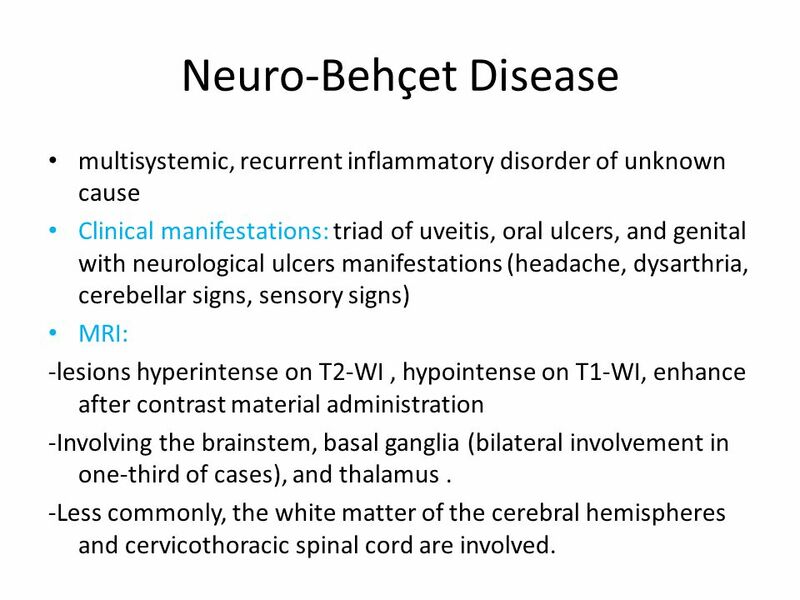 17 Neuro-Behçet Disease multisystemic, recurrent inflammatory disorder of unknown cause Clinical manifestations: triad of uveitis, oral ulcers, and genital with neurological ulcers manifestations (headache, dysarthria, cerebellar signs, sensory signs) MRI: -lesions hyperintense on T2-WI, hypointense on T1-WI, enhance after contrast material administration -Involving the brainstem, basal ganglia (bilateral involvement in one-third of cases), and thalamus. -Less commonly, the white matter of the cerebral hemispheres and cervicothoracic spinal cord are involved. 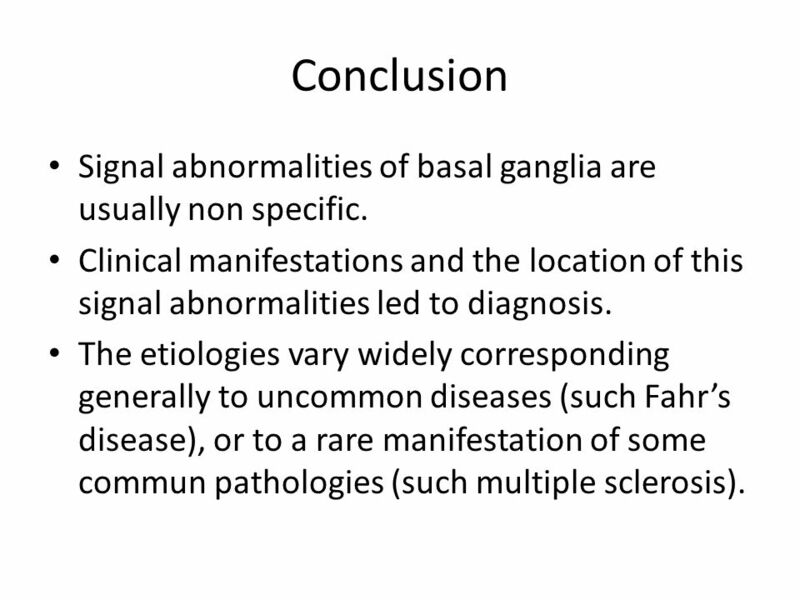 19 Conclusion Signal abnormalities of basal ganglia are usually non specific. Clinical manifestations and the location of this signal abnormalities led to diagnosis. 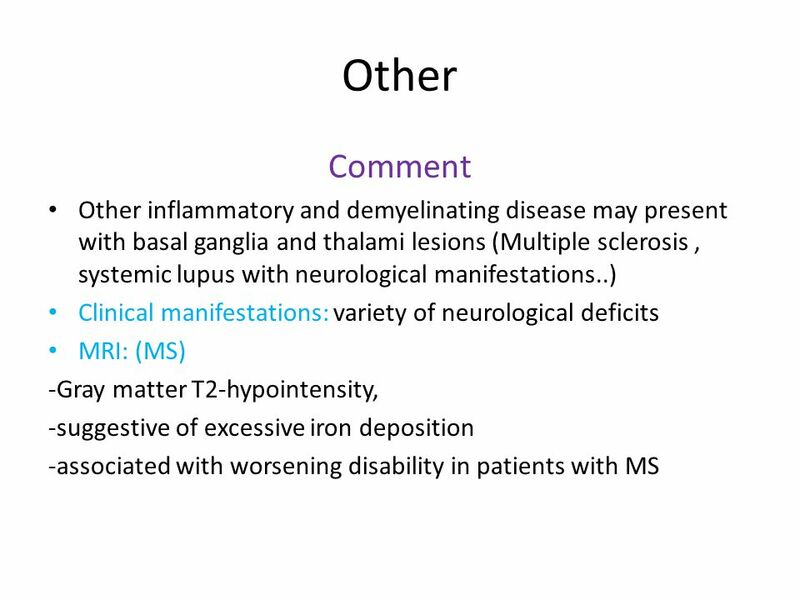 The etiologies vary widely corresponding generally to uncommon diseases (such Fahr’s disease), or to a rare manifestation of some commun pathologies (such multiple sclerosis). 20 References 1-CC Tchoyoson Lim. 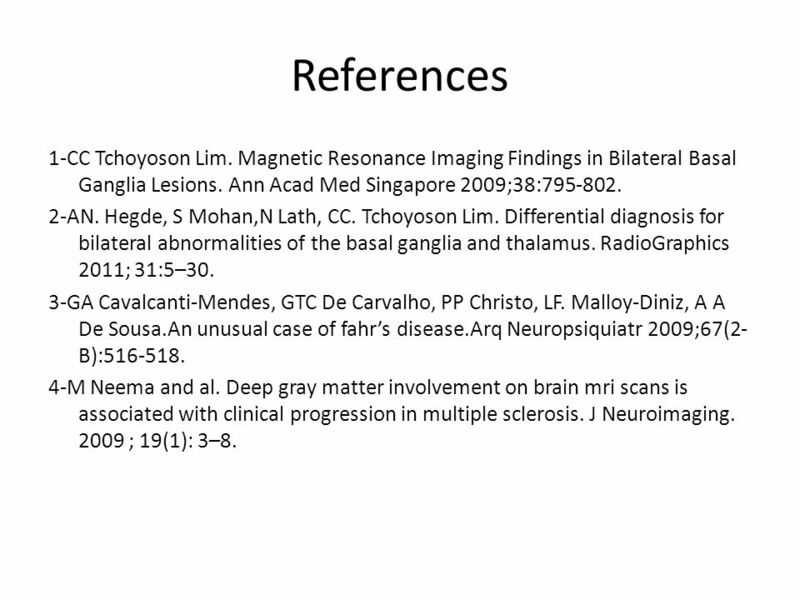 Magnetic Resonance Imaging Findings in Bilateral Basal Ganglia Lesions. Ann Acad Med Singapore 2009;38:795-802. 2-AN. Hegde, S Mohan,N Lath, CC. Tchoyoson Lim. Differential diagnosis for bilateral abnormalities of the basal ganglia and thalamus. RadioGraphics 2011; 31:5–30. 3-GA Cavalcanti-Mendes, GTC De Carvalho, PP Christo, LF. Malloy-Diniz, A A De Sousa.An unusual case of fahr’s disease.Arq Neuropsiquiatr 2009;67(2- B):516-518. 4-M Neema and al. Deep gray matter involvement on brain mri scans is associated with clinical progression in multiple sclerosis. J Neuroimaging. 2009 ; 19(1): 3–8. 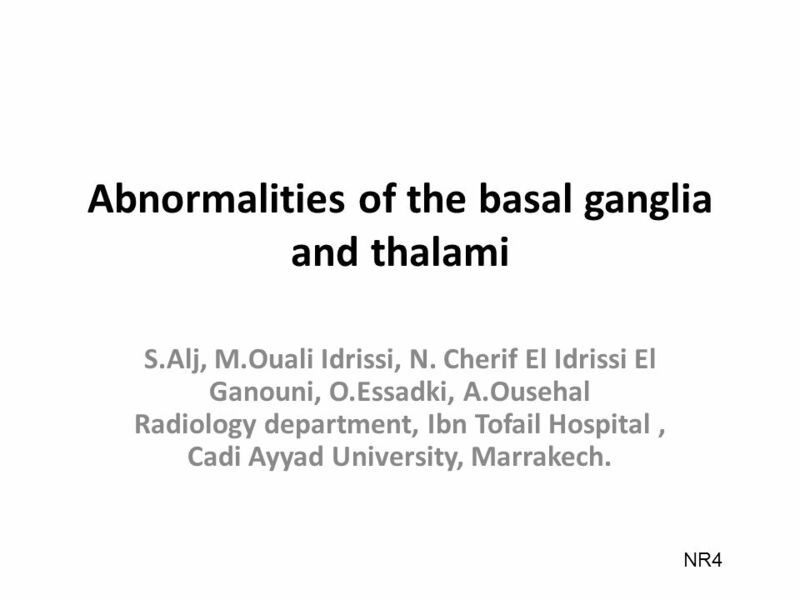 Download ppt "Abnormalities of the basal ganglia and thalami S.Alj, M.Ouali Idrissi, N. Cherif El Idrissi El Ganouni, O.Essadki, A.Ousehal Radiology department, Ibn." Clinical assessment Aims (1) Is it a stroke? (2) What part of the brain is affected? (3) What caused this stroke? Is it a haemorrhage or an infarct? Can. Case of the month December 2006 Irish Setter, m, 4y. STROKE. Vascular System Reminder: All brain function is dependent on oxygen. There are two main arterial supplies to the brain: –Carotid Arteries –Basilar. MRI and Mental disorders Seyed Kazem Malakouti, MD Faculty of Iran University of Medical Sciences Seyed Kazem Malakouti, MD. Subcortical Motor Systems: Cerebellum & Basal Ganglia Lecture 21.